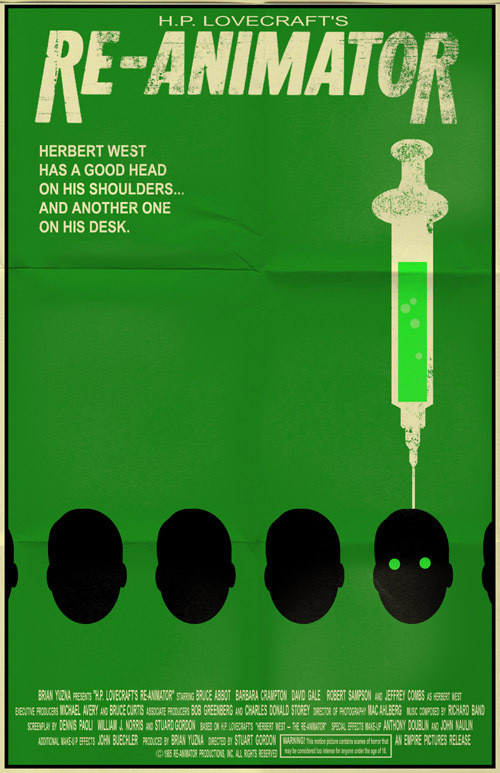 1985 - Re-Animator. Herbert West is obsessed with the idea of bringing the dead back to life. Experimenting with a glowing green fluid, he successfully reanimates dead tissue. Unfortunately, the dead are uncontrollable and difficult to subdue. Dr Carl Hill is determined to steal his secret and take all the credit for the discovery. OctHORRORber Nightmare on Elm St!! !